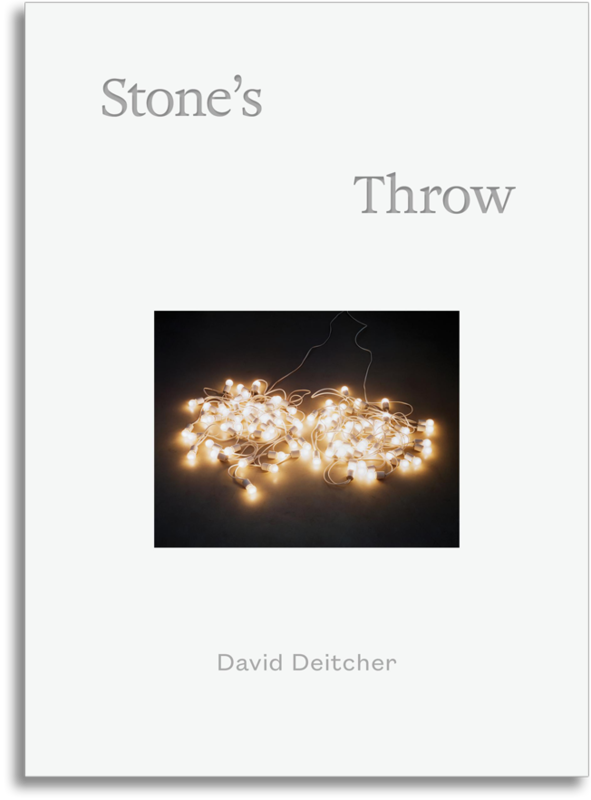 Secretary Press is pleased to announce the publication of its latest book, Stone’s Throw, by art historian, critic and curator David Deitcher. This multi-layered text describes the social, political and personal context that framed the emergence of one of the most critically acclaimed artists of the late-20th century, Felix Gonzalez-Torres. Stone’s Throw attests to the importance of relationships forged throughout the most challenging years of the North American AIDS crisis, as Deitcher recounts his friendships with Gonzalez-Torres, with the activist curator Bill Olander, and the milieu to which they belonged. The title, Stone’s Throw, refers to the resonating effects on the author of a single sentence by Carl Andre: “My sculptures are masses and their subject is matter.” Gonzalez-Torres brought that sentence to the author’s attention soon after Deitcher accepted the artist’s invitation to write the introductory essay for the catalogue that accompanied Gonzalez-Torres’s 1992 project for Magasin 3 Konsthall (Stockholm). Now, twenty years after Gonzalez-Torres’s death, Deitcher revisits many of his most celebrated works. Stone’s Throw strikes a balance between personal remembrance and cultural analysis, and is richly illustrated with previously unpublished ephemera and full color reproductions of poignant works by, among others, Nayland Blake, Tony Feher, Jim Hodges, and Roni Horn. In its combination of critical re-evaluation and personal testimony, Stone’s Throw marks a further development in Deitcher’s commitment to writing intimate art histories.